Israel has 200 nuclear weapons “all targeted on Tehran,” so Iran would not dare use a bomb even if it could make one, former Secretary of State Colin Powell said in a 2015 email, which has surfaced this week as part of a hacking scandal. Unknown hackers have compromised Powell’s Gmail account, and the whistleblower website DCLeaks posted a trove of his emails on Wednesday. Powell’s spokeswoman Peggy Cifrino confirmed that the emails were authentic. The letter came after Israeli Prime Minister Benjamin Netanyahu had just visited Washington and given a fiery speech before Congress denouncing the proposed deal under which Iran would consent to invasive inspections in exchange for lifting of the nuclear-related sanctions. The deal was finalized in July 2015. 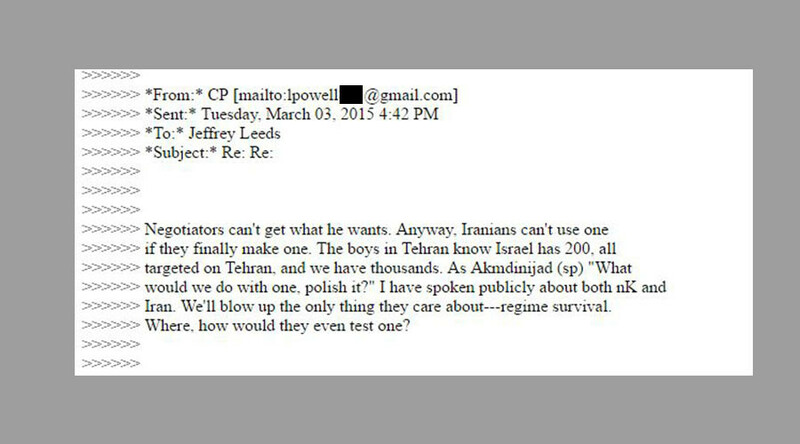 The State Department declined to answer RT’s Caleb Maupin when he asked for comment on Powell’s admission. Department spokesman John Kirby first refused to comment on the leaked emails, then declined to answer a follow-up on whether Israel should face the same treatment as Iran and North Korea – both of which have been sanctioned for alleged or actual violations of the nuclear Non-Proliferation Treaty. The nuclear issue is thorny for Israel because a 1976 amendment to the Foreign Assistance Act bans any US economic and military aid to countries that deliver, receive, acquire or transfer nuclear enrichment technology without abiding by the NPT. Israel is one of the few countries that did not sign the NPT, along with self-admitted nuclear powers India and Pakistan. 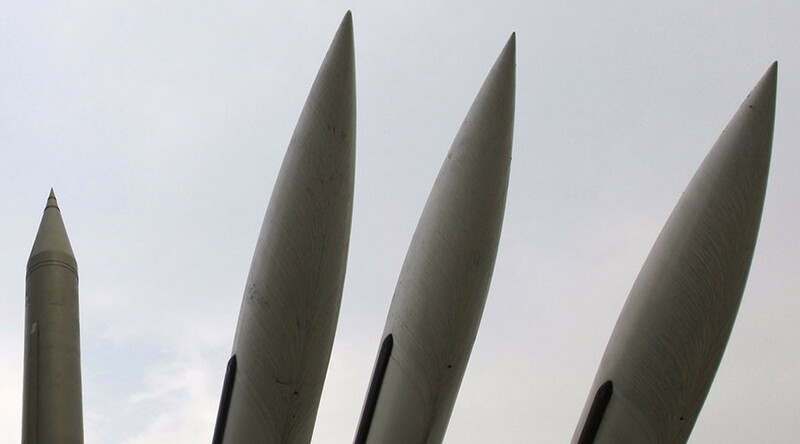 According to a 2014 report by the Federation of American Scientists, Israel is believed to possess anywhere between 80 and 400 nuclear weapons, with the lower figure considered more likely. Powell’s words carry considerable weight, since he chaired the Joint Chiefs of Staff during the 1991 Gulf War and later helped make the case for the 2003 invasion of Iraq as President George W. Bush’s secretary of state. On Wednesday, Israeli and US officials signed a memorandum of understanding on a $38 billion military assistance program over the next 10 years, with Israelis pledging to spend nearly all of it on US weapons and training. Powell’s correspondence has already made waves, with the retired four-star general not mincing words about Hillary Clinton and Donald Trump, the current Democratic and Republican candidates for president, respectively.